I had seen a male junco foraging with Chipping Sparrows at 5:55 pm two nights previously at this campground; so that evening I staked out the same area 5 – 7:30 pm. 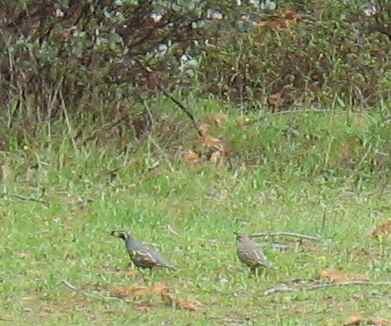 I frightened a flock of California Quail, ornate little globes taking off in a whirr at the first sign of me. Juncos are conspicuous birds, dark hoods and flashing white tails distinctive at distances when most birds are still anonymous. Anything that doesn’t immediately look like a junco is unlikely to be one. Still, hopeful, I clapped binoculars to my face at every chirp and rustle—just to be sure. 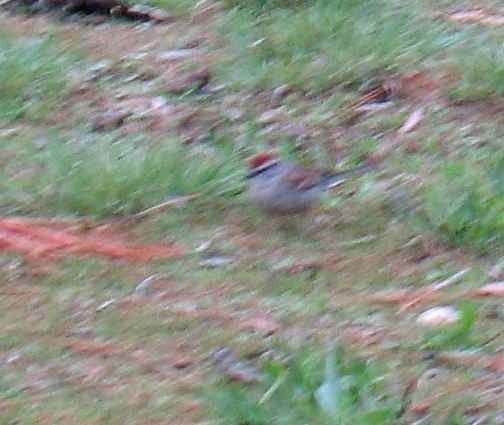 I saw Bushtits and Oak Titmice in the bushes, Chipping Sparrows on the ground. 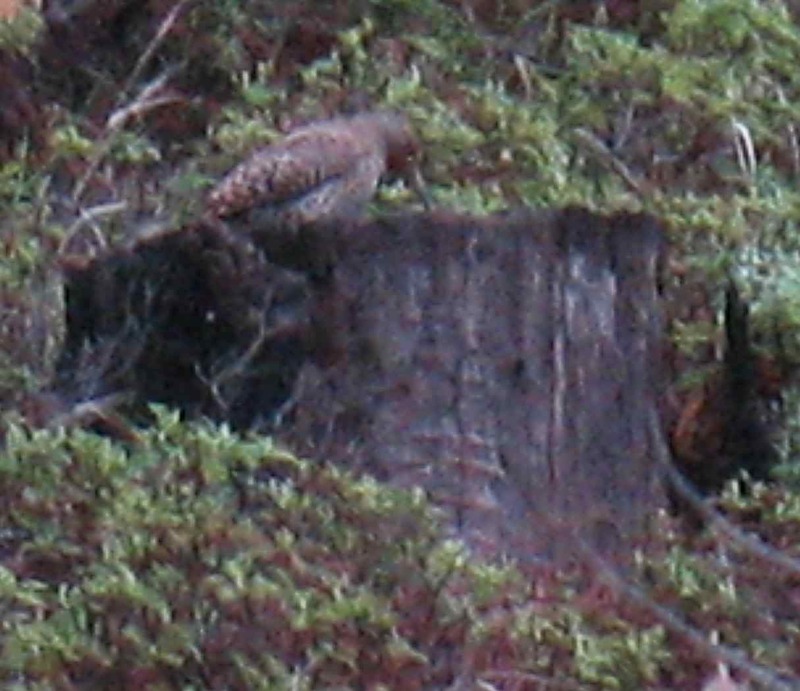 As the sun sank a Northern Flicker gave voice to strange, haunting cries. 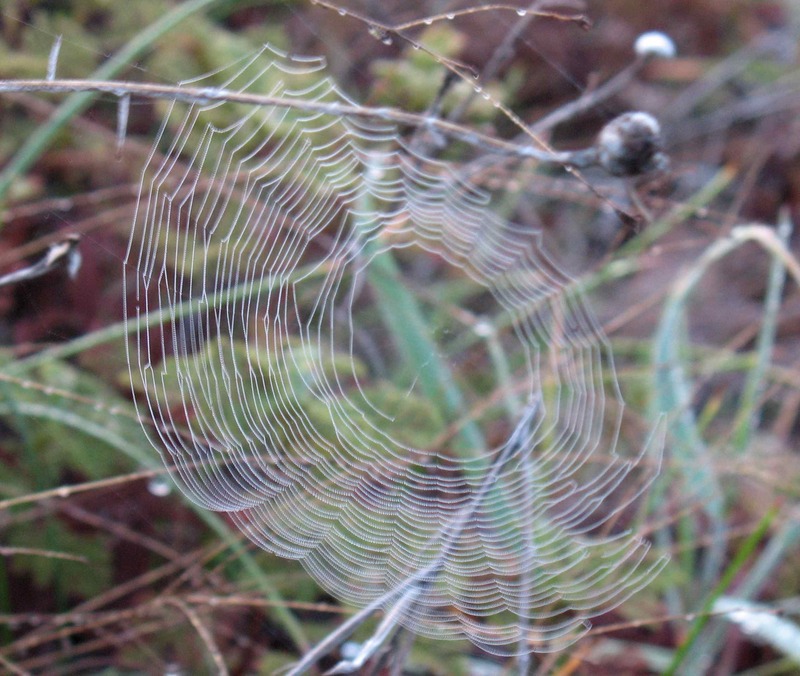 The next morning the ground was silvered with frost and my breath was clouds. 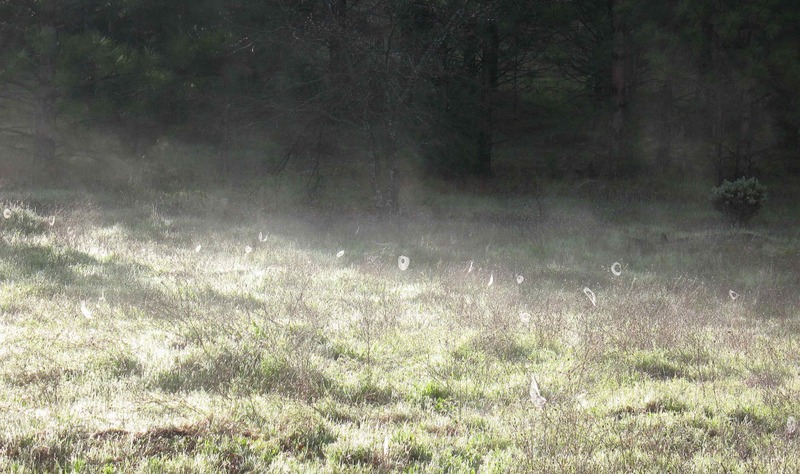 Low-angled light glinted off of spiderwebs, turning them into bright Os in the grass. The Western Bluebird pair, collecting nesting material again, caught an Acorn Woodpecker near their cavity and chased him off shrieking, the male hitting him at least once. With the bluebirds so noisily gone the tree was suddenly a center of activity: another Acorn Woodpecker flew in to inspect, but didn’t appear to find anything; a Western Scrub Jay poked around, then chased off a Stellars Jay; an Oak Titmouse and a Yellow-Rumped Warbler darted about among the branches. Nashville Warblers sang to each other, teetoo teetoo teetoo teetoo weep weep weep. (My Sibley’s guide gives them a more dignified song, the syllables seeta and pli.) 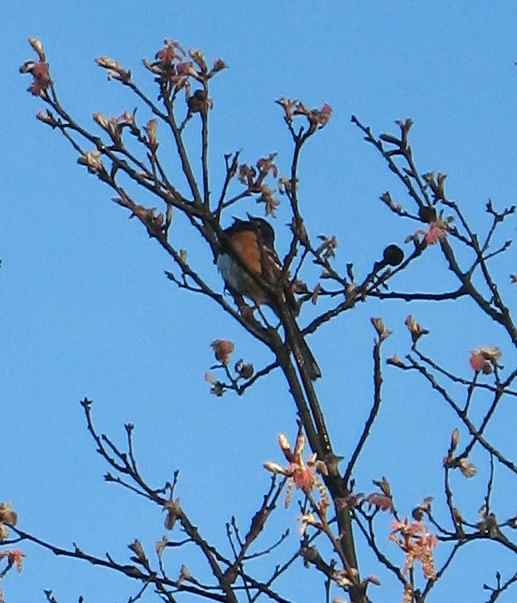 A Spotted Towhee proclaimed from the top of a bush. I did not see another junco. This entry was posted in field work by toughlittlebirds. Bookmark the permalink.